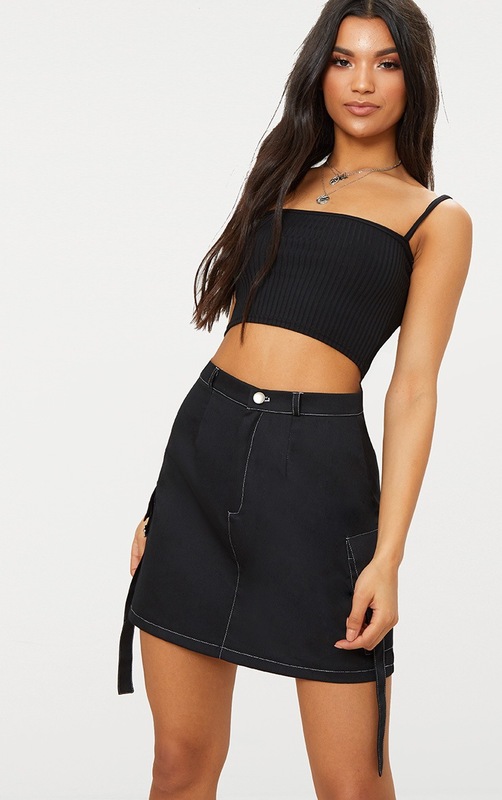 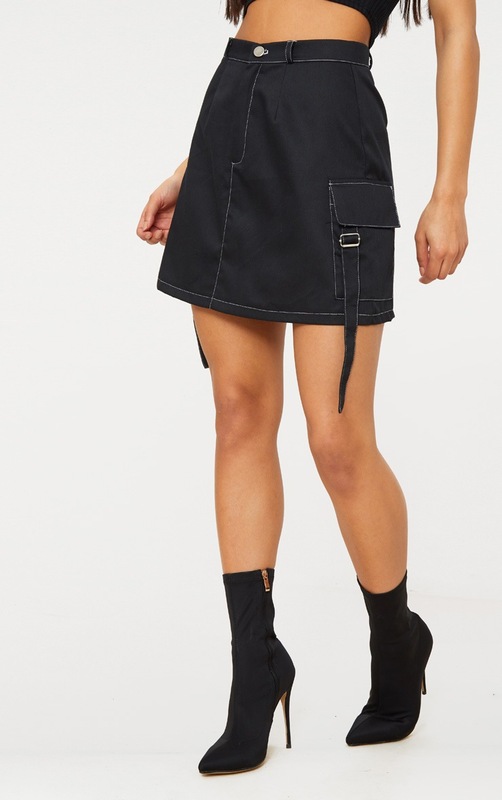 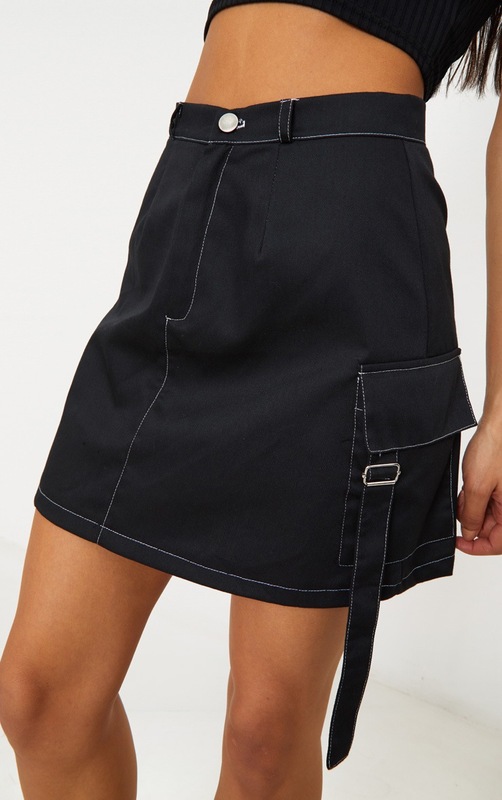 Get a killer off-duty look with this A-line skirt. 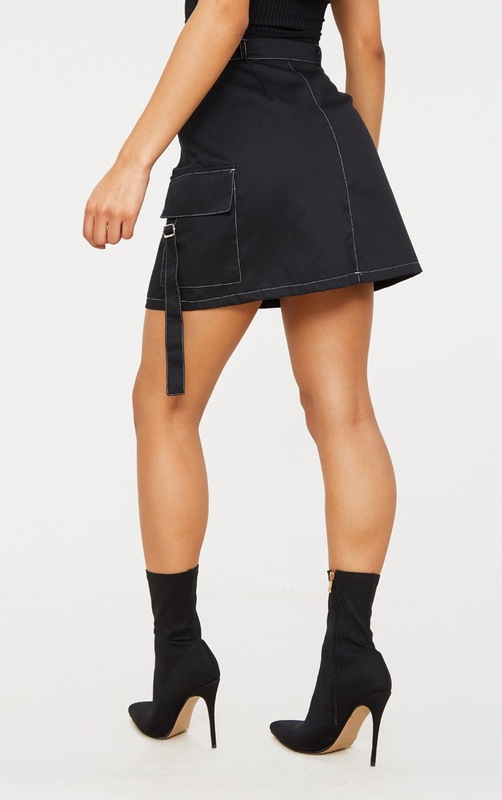 Featuring a black material with a white contrast stitch, a buckle detail pocket and a button fastening. 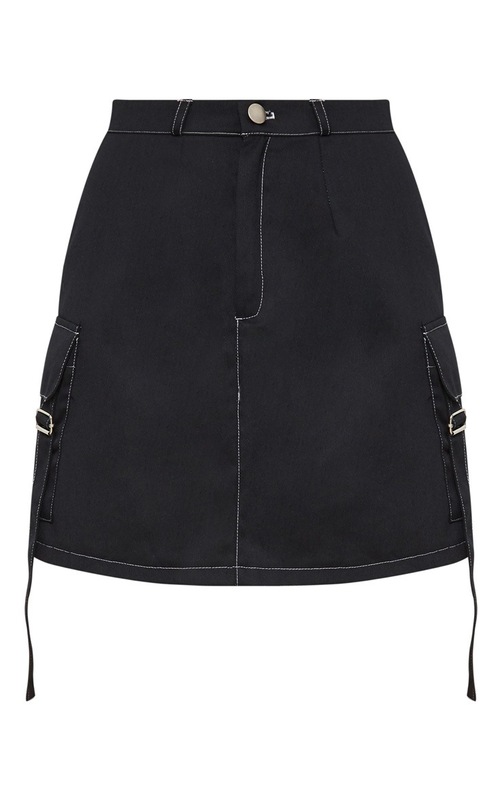 Style this A-line skirt with a crop top and heeled boots for a look we are obsessing over.